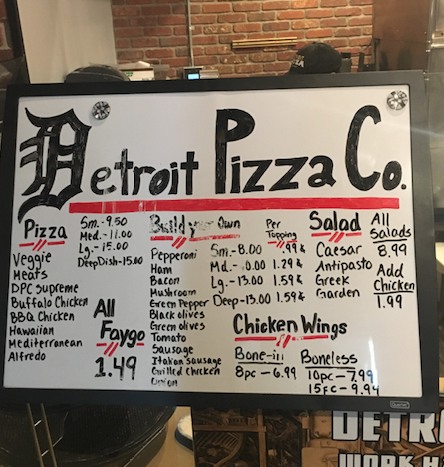 In August, the Detroit Pizza Company on Woodward Avenue in Midtown's Park Shelton building abruptly shut its doors. Last Thursday, it reopened with a soft launch under new ownership.. The grand opening is set for Friday. Manager Sam Milikhiker says the biggest difference in the pizza will be the new recipe for the dough and sauce. The place has been popular among local college students and residents of the Park Shelton.